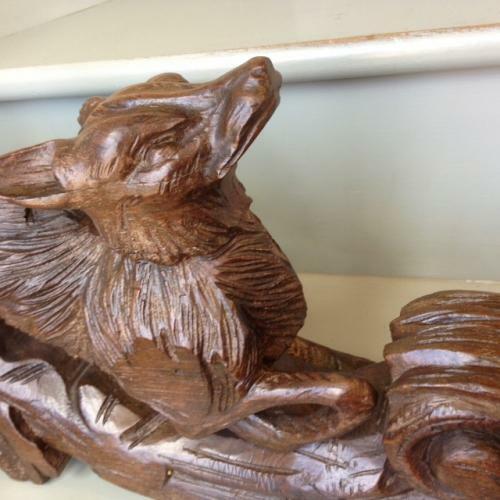 Exceptional large 19th cent Fox carving. Wonderful composition with good sense of movement and with one foot folded. Would look superb on a windowsill or table. Must have been part of a staircase or perhaps fireplace? Good sporting subject.